A suspect has been arrested in the fatal attack of a woman who was stabbed multiple times while jogging in a trendy neighborhood in the nation's capital just a few miles from the White House. 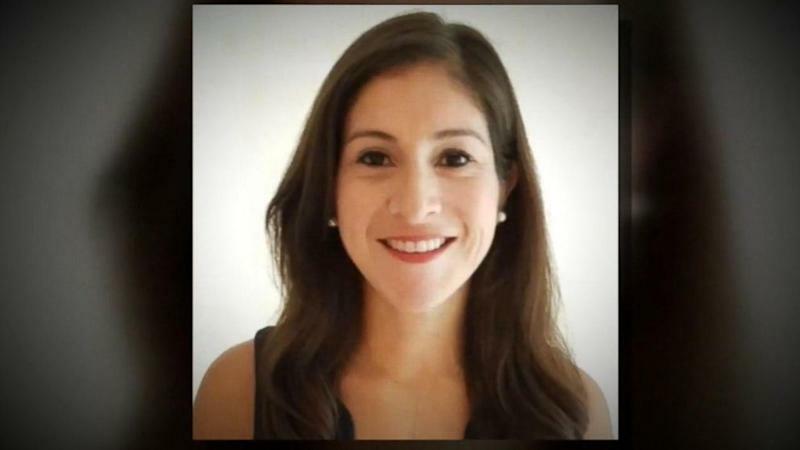 Wendy Karina Martinez was stabbed multiple times in an attack Washington D.C. Chief of Police Peter Newsham described as "random." Newsham told reporters Thursday that police had arrested 23-year-old Anthony Crawford. Mayor Murial Bowser added that the attack had "outraged" the community. "This is a woman who should be going to work today," said Bowser, standing in front of the Chinese restaurant where Martinez sought help after being stabbed. Martinez, 35, stumbled into the Chinese restaurant in Washington D.C.'s Logan Circle around 8 p.m. Tuesday, suffering from multiple stab wounds to the neck, police said. Martinez tried to alert customers to her attacker but the suspect had already fled the scene, witnesses said. She was transported to a nearby hospital where she died, police said. Chief Newsham said a surveillance camera showed the suspect running from the area of the attack at P Street and 11th Street Northwest. He said the video footage and tips from the community led to Crawford's arrest late Wednesday night. He said police found Crawford in a park at 14th Street and Girard Street Northwest and was taken into custody for questioning. He was charged with first-degree murder early Thursday morning, the chief said. He said Crawford had an injury to his hand when officers detained him and that he was treated at a hospital. He said Crawford is a resident of Washington, D.C.
"They tried to provide medical assistance to her. Unfortunately, she was taken to a local hospital where she was pronounced dead," Newsham said Wednesday. "It is more likely a random act than anything else but we're going to look at all possibilities." "It's horrible to see something like this happen in the city," he added, describing the area as a "very safe neighborhood." Newsham said security cameras showed Martinez jogging west on P Street just before she was confronted by the suspect. He said the suspect stabbed Martinez without warning or uttering a word to her. Mayor Bowser said the crime has been "damaging to all our senses of safety." Martinez was an avid runner and worked for a local software company, according to her family. She and her fiancé, Daniel Hincapie, were engaged last week. "We are deeply saddened by this senseless tragedy. Wendy Karina Martinez was the light of our lives," her mother, Cora Martinez, wrote in a statement. "Not only was she an avid runner, but she was a devout Christian, a wonderful friend, and a driven professional. Everything you hope that a daughter and a friend could be." Help us identify the person responsible for the murder of Wendy Martinez. She was stabbed to death last night in the 1400 block of 11th St, NW. FiscalNote, where Wendy Martinez served as chief of staff, tweeted its condolences to her family on Wednesday. "The entire FiscalNote family is shocked and deeply saddened to learn that Wendy Martinez, our Chief of Staff, was killed last night," the company wrote. "Wendy was an invaluable member of our team and a vibrant member of the community. Our thoughts and prayers are with Wendy's family and friends." The Metropolitan Police Department released surveillance footage of a suspect that showed a man wearing a long-sleeved mustard-colored shirt, flip flops and white socks. The police department had put up a $25,000 reward for information leading to an arrest. "We ask that you respect our privacy as we grieve the passing of her beautiful soul and inform her friends and family of this terrible news," the victim's mother said in her statement. "We also want to encourage the community to please contact the police with any information that may lead to finding justice for Wendy."